JKL Dolphins will feature in the National Basketball League semifinal-playoffs for the first time ever. This comes after a comprehensive game two victory over Pemba Warriors on Sunday. JKL cruised into an early 23-18 lead after the first quarter but they were pegged back when Warriors won the second 18-12 to lead 36-35 at half-time. JKL pulled up their socks to win the remaining quarters 24-13 and 18-13 respectively, to seal victory. Brian Namake led the Dolphins with a double double of 16 points and 10 rebounds before adding four assists on the night. Libe Makala scored a game high 23 points, as Yesman Bushiri also contributed to the victory with 18 points on an historical evening. Mark Opiyo and Deng Maker scored 12 points each for Warriors in a losing effort. 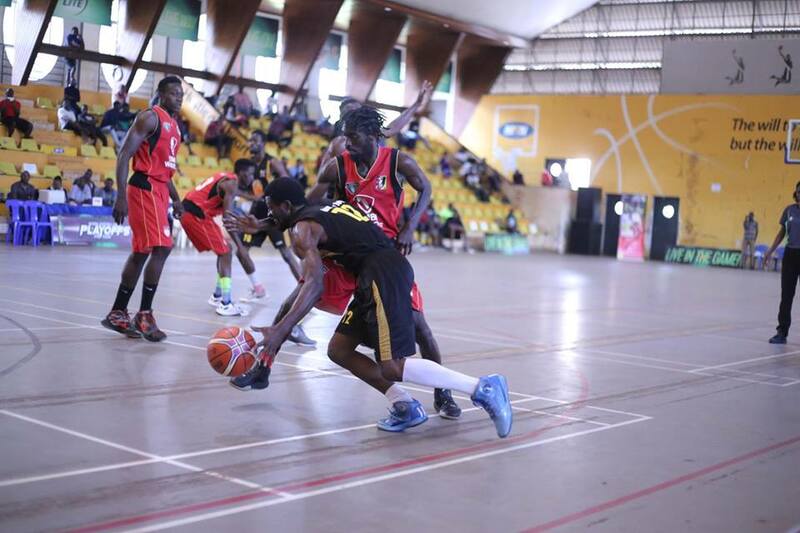 KIU Titans broke no sweat as they eased past UCU Canons with a 77-51 win to reach the semifinals with a clean sweep. KIU had won game one 73-70. Kazungu Ethenel scored 18 points, Sudi Ulanga and Michael Bwanga added 13 and 10 points each for the Titans. Betway Power left it late against Ndejje Angels with a hard fought 77-84 win. Power also wins the series 2-0 as the side had won game one on Saturday 73-41. Geoffrey Soro scored 20 points; Michael Kojo added 13 and Phillip Ameny yielded 12 points to lift Power past Walker Obedi’s Ndejje. Men’s resumes on Monday night with a game two between City Oilers and Sharing Youth at MTN Indoor Arena in Lugogo. The defending champions won game one on Saturday 81-69. In the Ladys division, UCU Lady Canons were among the three teams that qualified for the National Basketball League semifinals on Sunday. The Lady Canons picked up a routine 76-51 victory over KIU Rangers to register a 2-0 quarter final sweep. The Mukono based side had won game one 93-34 on Saturday. Leading 34-32 at halftime of game two, UCU never looked back as they won the next two quarters 16-12 and 26-7 to seal a 24 point victory. Vilma Achieng led Nicholas Natuhereza’s side with 14 points as Rhoda Naggita and Rosine Micomyiza contributed 12 and 10 points respectively. In a losing effort, Brenda Aujat scored 15 points as Esther Marion managed 12 points. In the other ties, Ritah Imanishimwe who had scored 15 points in game one, added yet another impressive performance with a game high (22 points) to lift JKL Lady Dolphins past minnows UMU Ravens. Shooting 18-27 on field, Brenda Ekon scored a historical 42 points but her heroics were not enough as Nkumba fell to A1 Challenge on a close contest. JKL, UCU and A1 Challenge are now through to the semis that tip-off in a week’s time at Lugogo. The teams will be joined by probably KCCA Leopards who will play their game two against Angels on Monday evening. The former won game one 108-67. If it all goes to pass, A1 Challenge will face JKL Lady Dolphins as KCCA Leopards tussle it out with UCU Lady Canons in the best of five series.